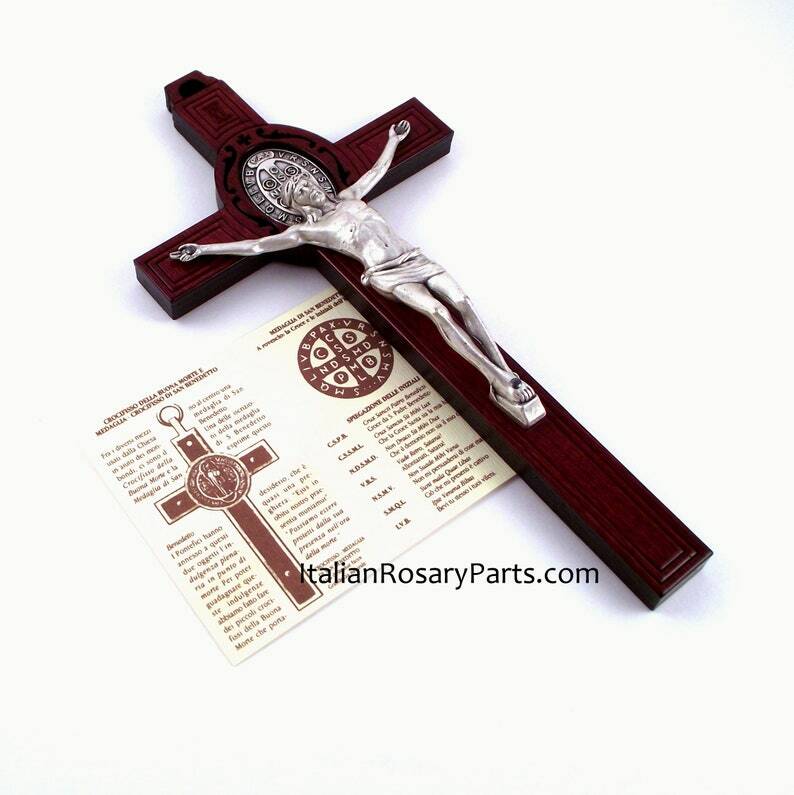 A beautiful new mahogany wood crucifix. Measures 7-1/2" high by 3-3/4" wide. Silver tone Corpus and double-sided Saint Benedict medal. Includes booklet explaining the symbols of the St Benedict medal. Made in Italy.